In Amazon-speak, you don't export data, you unload it, and today we are excited to announce that you can now unload data from Amazon Redshift directly to Analytics Canvas! Amazon Redshift is a fast, fully managed data warehouse that makes it cost-effective to analyze data using SQL. It allows you to run queries against petabytes of data. For Analytics Canvas users, this means a new gateway to AWS that you can interact with seamlessly using Analytics Canvas. The new, direct connector allows anyone to unload data from Amazon Redshift and bring it on to their canvas for exploration, preparation and analysis. Users can then export that data to another database supported by Canvas, such as SQL Server, Google BigQuery, or TeraData, or export processed data to dashboards and files, like Excel, Tableau, Google Sheets or Google Data Studio. 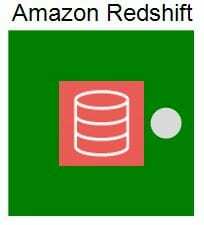 You can learn more about Amazon Redshift by visiting the Amazon Web Services page. Be sure to download a trial or upgrade to the newest version of Analytics Canvas to try the new Amazon Redshift connector.